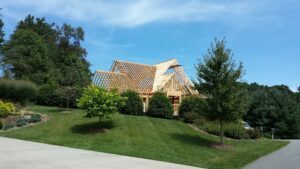 With more than a decade of experience in construction, custom log work, timber framing, design and project management, we have a superior team of Blowing Rock contractors & home builders that place our client at the center of the design process. From laying out the floor plan, to discussing budget, to designing the amenities and applying the finishing touches – our team of professional Blowing Rock home builders, contractors will attend to every detail-guaranteeing an enjoyable building or renovation experience. We guarantee 100% Customer Satisfaction and our client testimonials will attest to our team values of honesty, integrity and craftsmanship. As your chosen Blowing Rock contractors, we feel that any new home building, room addition, or renovation that we’re involved in is an opportunity for us to show off our craft. Whether you’re in the market for a new home builder or bit of remodeling – we know that the process is a personal one. The team at Fairbanks Home Builders understands this and respects that you are inviting us into your home to take your ideas and bring them to life. Fairbanks Home Builders has completed many homes and renovation projects in Boone and Blowing Rock. A few of the projects completed by our professional Blowing Rock contractors include Mossy Creek, Elk River (a gated community), downtown Blowing Rock, and many of the homes in the Council Oaks Boone development. If you regard a rare and solid relationship like the one described above, the choice is easy – call Fairbanks Home Builders today, and live more comfortably tomorrow. 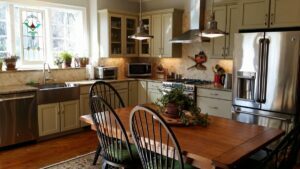 We invite you to look at our Project Galleries to view some of our diverse portfolio of Boone and Blowing Rock custom homes and remodeling projects. Read our Client Testimonials and Contact our expert Blowing Rock contractors about your project today. We have many clients that are willing to give references. However, the privacy of our clients is very important to us. It’s always a great idea to get references and once we’ve spoken a bit and understand your level of interest in contracting with us, we would be happy to provide a number of references.